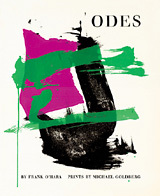 Cover (from Odes)- - 1961, Color Serigraph. Edition 10. Signed, dated and annotated Special Edition 2/10 in pencil. Image size 16 1/4 x 13 1/2 inches (425 x 343 mm); sheet size 19 5/8 x 14 15/16 (498 x 379 mm). A fine, painterly impression, with fresh colors, on off-white wove paper; full margins (5/16 to 2 1/4 inches), in excellent condition. 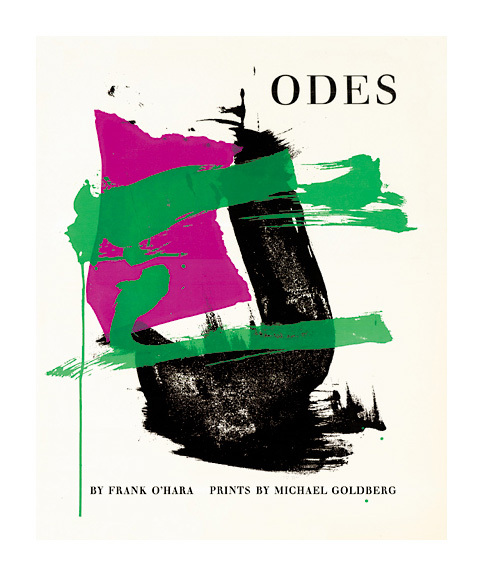 Created for the Tiber Press four-volume set of poetry by Kenneth Koch, John Ashbery, Frank O’Hara, and James Schuyler, illustrated with original silkscreen prints by Alfred Leslie, Joan Mitchell, Michael Goldberg, and Grace Hartigan. The four volumes are entitled Permanently, Odes, Salute, and The Poems. Printed by Floriano Vecchi.